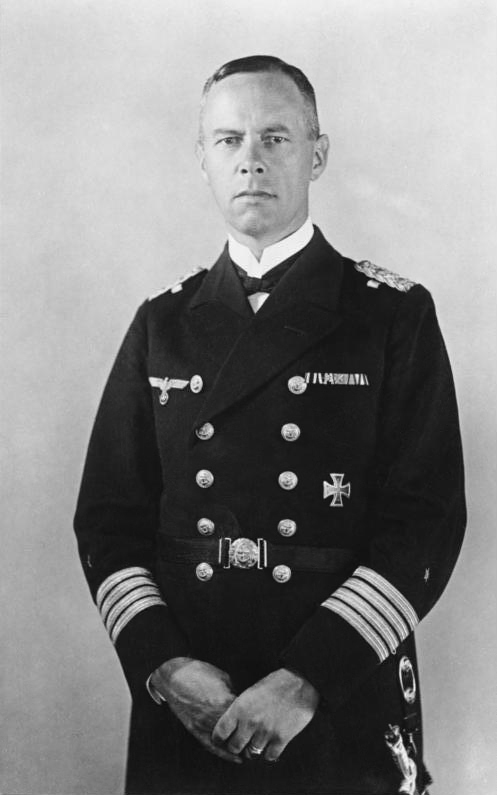 On 18 May 1941, the Kriegsmarine, under the direct order of Grand Admiral, Erich Raeder, put into effect Operation Rheinübung. The objective of the operation was for the German battleship Bismarck and the heavy-cruiser Prinz Eugen to breakout into the Atlantic and destroy Britain’s trade lifeline, the merchant convoys from North America. Admiral Johann Günther Lütjens was placed in command of the operation. The Royal Navy put everything that it could into finding and sinking the German raiders, amassing a task force of over forty ships. Eventually, on 27 May 1941, a ferocious sea battle ensued and the Bismarck was sunk. Lütjens, along with two thousand of his crew, lost their lives. For more on the hunt to find and sink the Bismarck take a look at John Moffat: Legend of the Bismarck. Click here to read the Kindle preview. John Moffat: Legend of the Bismarck, the latest release in the British Flying Legends series and tells the remarkable story of a Fleet Air Arm flying legend who, with a single torpedo strike, delivered from an obsolete biplane, in a force nine gale, in the middle of the Atlantic, brought about the sinking of Germany’s most powerful battleship, the Bismarck. In addition to exploring John Moffat’s early life and his role in the sinking of the Bismarck, this book also looks at the dramatic sinking of HMS Hood, the story of HMS Ark Royal and the aircraft that helped deliver the decisive torpedo attacks, including the out-dated Fairey Swordfish biplane.